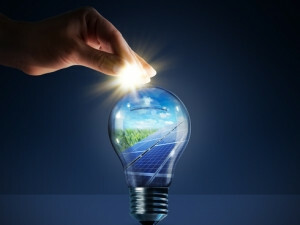 SA aims to achieve 9 600MW of solar power capacity by 2030. South Africa has officially switched on the R5 billion Bokpoort concentrated solar plant (CSP) in Groblershoop, Northern Cape. Trade and industry minister Rob Davies and Dr Tawfig Fawzan Alrabiah, Saudi Arabia's minister of commerce and trade, officiated at the ceremony at the site on Monday. The plant was completed in December 2015 after a construction period of 30 months. Equipped with more than nine hours of thermal storage capacity, the Bokpoort 50MW solar plant operates like a giant rechargeable battery capable of supplying sufficient power to more than 21 000 homes. SA committed to an energy generation infrastructure development plan for 2010 to 2030, known as the Integrated Resource Plan. Under the initiative, the country aims to achieve 9 600MW of solar power capacity by 2030. The country is prioritising solar mainly because of the worldwide drive towards renewable energy, a highly strained local electricity supply, and a steady drop in solar panel prices. A consortium led by ACWA Power, headquartered in Saudi Arabia, was awarded preferred bidder status to develop the plant in 2013. ACWA is a joint venture between Abunayyan Holding and Al Muhaidib Group. 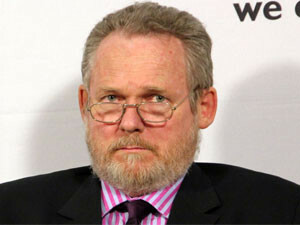 This project marks a key milestone in SA's electricity supply security, says trade and industry minister Rob Davies. ACWA Power is a developer, investor, co-owner and operator of a portfolio of power generation and desalinated water production plants, with presence in 12 countries and an investment value in excess of $32 billion. Bokpoort CSP is part of SA's Renewable Energy Independent Power Producer Programme. About 40% of the components at Bokpoort CSP were manufactured in SA and the power produced is fed to Eskom to help cover the country's evening peak demand (17h00 to 21h00). The output from the project is conveyed to the existing Eskom Garona substation located at the site, which facilitates the connection with the national grid. The entire output from the project will be sold to Eskom under a 20-year power purchase agreement. Bokpoort CSP has a 9.3 hours thermal energy storage capacity, meaning it can work day and night, and there are over 8 600 collectors at the plant with more than 136 000 mirrors. At its construction peak, over 1 300 jobs were created at the plant, filled largely by the local community previously dependent on farm work. "The project instils confidence in government's long-term infrastructure roll-out, providing energy access, contributing to economic, community and sustainable development," Davies said. "This project marks a key milestone in South Africa's electricity supply security and CO2 reduction. With its record 9.3 hours thermal energy storage capacity, the Bokpoort CSP project will save approximately 230 000 tonnes of CO2 equivalent emissions during every year of operation," he added. The project has a major socio-economic development impact for the Northern Cape and SA, Davies pointed out, adding that over R2.4 billion was spent on local content, with 40% of the Bokpoort plant being sourced and manufactured locally. This includes the manufacturing and assembly of solar field collector steel structures and the supply of piping and cables. "The operation of the plant will provide electricity to the Eskom grid to power communities and industry by ensuring a reliable source of renewable energy and increasing power supply." "The formal inauguration of the Bokpoort CSP plant is a significant milestone in supplying South Africa with reliable and cost-competitive renewable electricity," said Abunayyan. "The success of the project demonstrates a robust partnership between the government of South Africa, through the Department of Energy, and ACWA Power." Chris Ehlers, ACWA Power's MD for the Southern Africa region, said: "We are here to serve the nation and to contribute to its development. Our commitment to the development of the South African economy beyond reliably supplying renewable energy at a cost-competitive tariff is demonstrated by the R2 billion worth of locally sourced components made in South Africa that has been used in the construction of this plant and the creation of 1 300 construction jobs." Bokpoort CSP is the first in a series of investments in the power sector that ACWA Power is making in SA. The company is expecting to commence construction on the 100MW Redstone CSP Project, also in the Northern Cape, and is awaiting the outcome of tender submissions for a 300MW coal-fired plant in Mpumalanga and another 150MW CSP plant also in the Northern Cape. Inus Dreckmeyr, CEO of Netshield, says solar power is a way for SA to make the critical move away from coal fire power stations. "Water is already a crisis in South Africa, and the way energy is produced locally at the moment has a heavy carbon footprint and the operational costs are extremely high," he points out. According to the CSIR Annual Report 2014/2015, renewables projects generated 2.2TWh of electricity in 2014, which resulted in huge cost savings, he concludes.